Will He Drag Others With Him in Club Putnam Scandal? Sheriff Don Smith Sheriff Donald Smith has been vindicated. 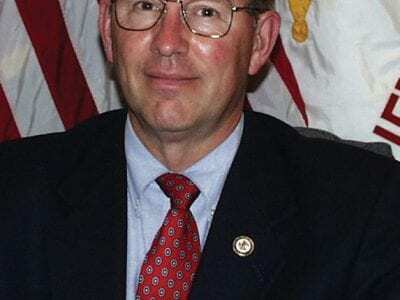 Putnam’s chief lawman, a retired brigadier general and former deputy county executive, ended a defamation lawsuit last week after a Republican political consultant from Westchester, Mi… Please login below or purchase a subscription to the Putnam County Courier to access this content. Despite a heavy police presence at last Thursday’s Mahopac FD Parade and the opening of the fire department’s fund raising carnival, police made several arrests. Moments before the parade was about to step off, a two car rear-end crash o… Please login below or purchase a subscription to the Putnam County Courier to access this content. Fifty Canada geese were rounded up on Lake Mahopac last week. The big birds were taken to a slaughterhouse and their meat processed to feed the poor at soup kitchens in the New York metropolitan area. Carmel Supervisor Kenneth Schmitt said the bird … Please login below or purchase a subscription to the Putnam County Courier to access this content. 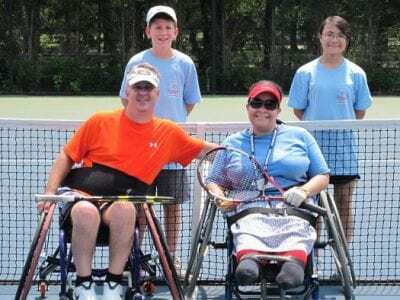 (Left) America’s wheelchair tennis champion Mike Sullivan from Philadelphia and Brewster’s Tanya Hines pose for a gold and silver medal session following the tourney in Queens. Tanya Hines serves as an inspiration to those who meet her! 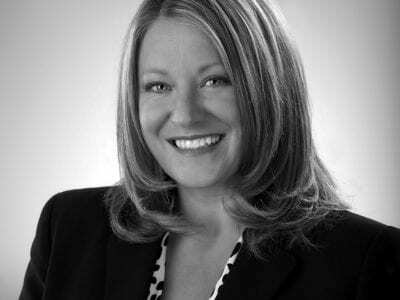 T… Please login below or purchase a subscription to the Putnam County Courier to access this content. Shovel ready development sites and simplified regulations are important tools for enticing firms to open shop in a particular town, and Putnam County often struggles to identify available development locations and package them successfully to … Please login below or purchase a subscription to the Putnam County Courier to access this content. 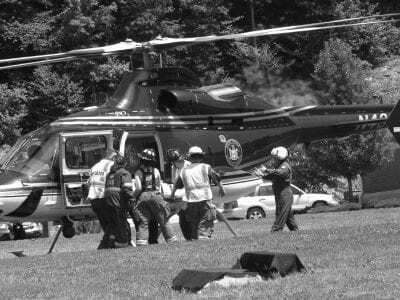 The chopper lands and EMTs and firefighters transfer the victim to the air ambulance. The Putnam 911 Dispatch Center broadcast a “Delta level” emergency call— “stabbing in Lake Carmel.” Last Thursday’s alarm at 10:… Please login below or purchase a subscription to the Putnam County Courier to access this content. 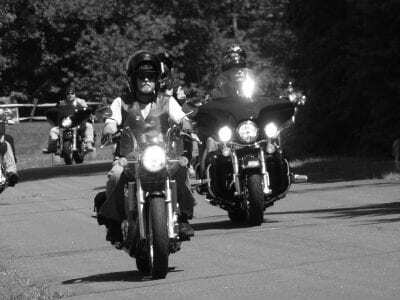 The 75-mile Putnam Motorcycle Run raised money for the Putnam Community Action Program. Above the cyclists proceed on their route in Kent. … Please login below or purchase a subscription to the Putnam County Courier to access this content. 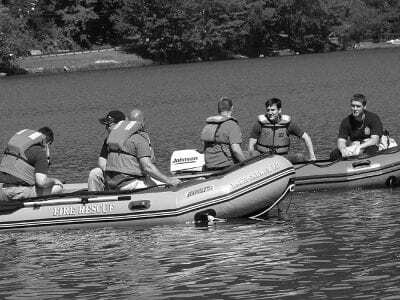 Lake Carmel and Kent FD personnel rush to the scene in special boats. Thirty lifeguards teamed up with emergency responders from the Lake Carmel and Kent Fire Departments Sunday to avert a calamity. The lifeguards and EMS providers conducted a drill … Please login below or purchase a subscription to the Putnam County Courier to access this content.